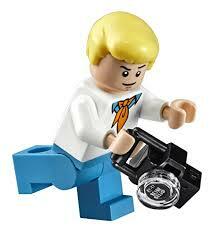 Solve the Zombie mystery with The Mystery Machine! Escape from the Zombie and the spooky tree in The Mystery Machine with spy glass, computer screens, camera and a giant sandwich. 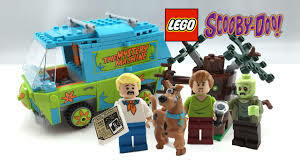 Help Scooby-Doo, Fred and Shaggy avoid getting trapped in the branches of the spooky tree and jump into The Mystery Machine to get away. Read the clue and open up the back of the vehicle to use the computer screens, spy glass and other mystery-solving equipment. Work out the real identity of the Zombie who is secretly operating the tree, then celebrate with a giant sandwich (A-HA! THIS is where this comes in!) 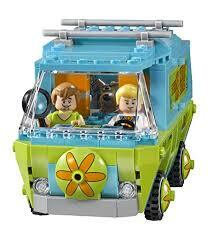 The Mystery Machine features a driver’s cabin with steering wheel and space for 2 minifigures, removable roof and foldout sides for easy play.